I love to write and share my thoughts. I'm happy when someone stumbles upon my blog and lets me know they like what I have to say. Some even value my opinion. The past 2 years have taught my a lot. I've met some great people that have become my friends and support what I do. Some times it is because of them I keep blogging. I have a lot of goals for My Legendary Style and I'm looking to see how far I can get over the next year. So Happy 2 year Blogiversary to My Legendary Style and Thank you to everyone that supports me. awesome! 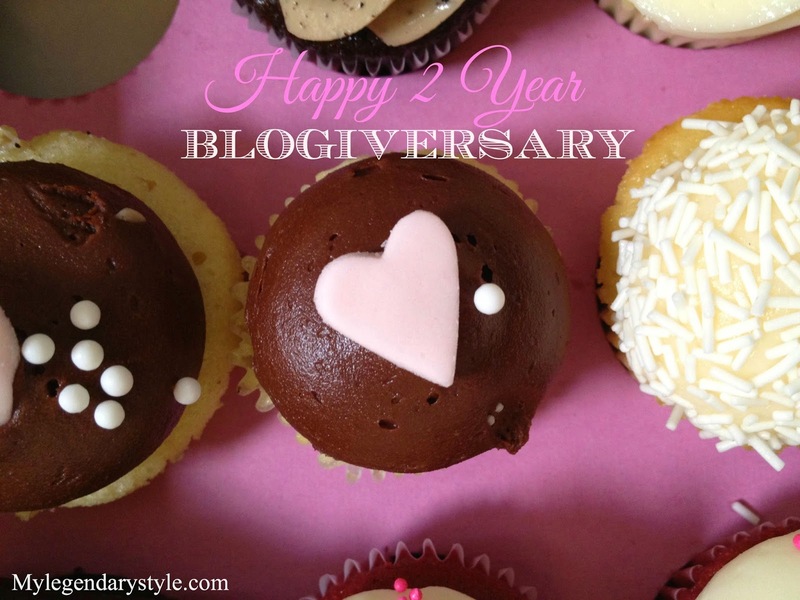 Happy two year blogging anniversary to you!! Happy 2 years my darling!!! Thank you for inspiring us with your words, style and amazing way of being. I am so happy you decided to start this amazing blog that I am addicted to and also to have to have the amazing honor to call you one of my closest friends. Can't wait to see what the future holds for both you and My Legendary Style. Thank you for the shout out!!! Love ya. You are very welcome! Thank you for being a dear friend! You are very welcome MJ! Thank you for the kind words. Happy Anniversary! I am so Glad I've been able to get to know you. Happy Blogaversary girl! I cant wait for my 1 year, 2 years I cant even imagine right now lol. Thank you! It's a tough process but well worth it!